A new breakfast and brunch spot has opened for business in the neighborhood. The newcomer to Historic Filipinotown, called Doubting Thomas, is located at 2510 W. Temple St. 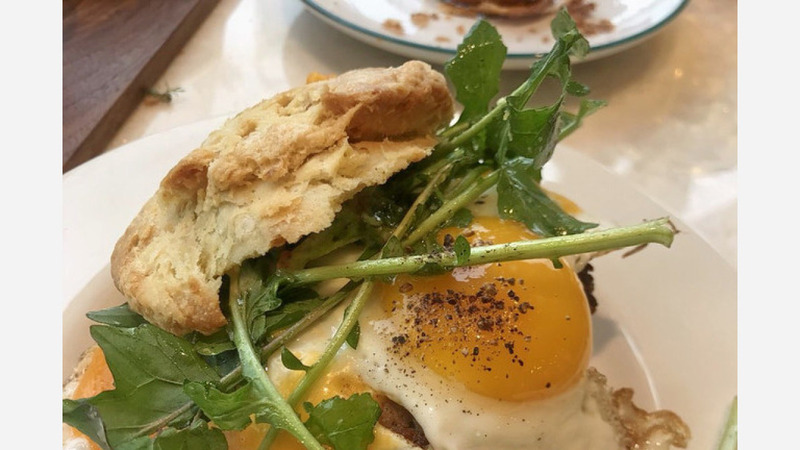 According to Eater LA, this fresh new eatery is the work of Naomi Shim, a renowned LA pastry chef whose other projects and collaborations include Salt's Cure, Copa Vida and Coffee Commissary. On the menu, expect to find a wide assortment of breakfast and brunch items ranging from veggie quesadillas with avocado, white cheddar, smoked chili and more to a breakfast sandwich complete with homemade biscuits and whole-grain mustard mayonnaise. With a five-star rating out of eight reviews on Yelp so far, Doubting Thomas has been warmly received by patrons. Spencer M., who was among the first Yelpers to review the new spot on May 12, said, "This place was so needed in the neighborhood. The coffee, the food, the atmosphere, the energy ... everything is on point! Very friendly, welcoming staff." "Cool interior. Very modern and clean," added Yelper James H. "Love the vibe; seems like they took their food seriously. The burrito was great! Had a lot of flavors, yet it felt healthy!" And Bryan C. said, "Really good breakfast burrito and breakfast quesadilla. Gotta come back to try their coffee and pastries."